Have you ever gone the opposite direction of where you knew that should go? Me, too. 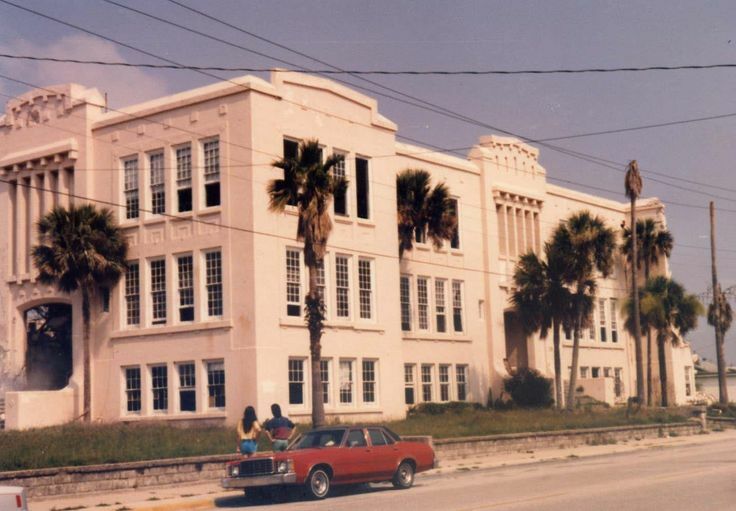 I was in seventh grade at Seabreeze Junior High School (home of the fighting sand crabs). Yes, it was before we called the most awkward grades middle school. At Seabreeze Junior High, you could see the ocean from the third floor. Since there was no air conditioning in much of the building, we opened the windows on each side of the room (facing north in our seats), and you could hear the ocean. That is where I was supposed to be learning Algebra but was far too busy falling deep into puppy love with Kim Rice. One fateful Friday, in late February, Me and two buddies (Sammy Weir & Bruce Austrew) thought it would be awesome to take a 10-foot Jon boat across the intercoastal waterway and camp out on one of the islands. Naturally, we didn’t think about weather, supplies, or anything else. We were confident that this was a fabulous idea. The next step? Get Mom or Dad to approve this simple little camping trip with three 7th-grade boys. What could go wrong? Mom said no, and Dad said no. RED FLAG NUMBER 1. But Sammy and Bruce’s parents were “okay with it,” according to them. Now it’s an excellent idea! RED FLAG NUMBER 2. Solution? Tell Mom and Dad that you are just spending the night with Bruce at his house. RED FLAG NUMBER 3. Off we went in the Jon boat to one of the small uninhabitable islands to camp. We brought junk food, radio, and miscellaneous items, but genius here did not think that I needed a sleeping bag. RED FLAG NUMBER 4. A cold front blew in with strong winds and chilly temperatures. By the time the sun was rising, we were freezing and starving. So we loaded what little we had brought onto the island and headed out to cross the river. With the wind howling, the river was already white-capping. On Saturday mornings, the yachts are traveling up the intercoastal, and there we were in a 10-foot Jon boat, with a 4 horsepower Johnson outboard. RED FLAG NUMBER 5. Halfway across the river, we got caught in the wake of a yacht and a 2-foot white cap. The next few minutes were a blur, as water poured in the little boat, and then it was gone. Sunken to the bottom of the Halifax River. We started swimming toward shore, cut our feet to ribbons on the shells attached to the dock, walk toward Penisula Dr. and head toward home. The goal – sneak in, clean up, and nobody will find out. RED FLAG NUMBER 6. At Peninsula Dr, my partners in crime went north and I headed south, toward my house. Within 5-minutes, a car slowed behind me, and as I turned toward the horn blowing at me, I realized it was Mom. BUSTED! Why tell this story? The single greatest lesson learned that chilly day in 7th grade was that the Bible says that “…your sins will find you out.” My sins had been found out. I’d been caught lying, lying more, and showing an exceptional degree of stupidity. But the real lesson? When the Divine loves you enough to send you red flag after red flag, listen and be warned that He is trying to save you from yourself. When you are a 7th-grade boy, you know everything that you need to know in life. Well, minus having any good sense. Don’t wait til you sink the boat, and take the beating. See the red flags, hear the red flags, and learn from the red flags. I’ve never made THAT mistake again…lesson learned, flags acknowledged, and Scripture proven accurate, again.